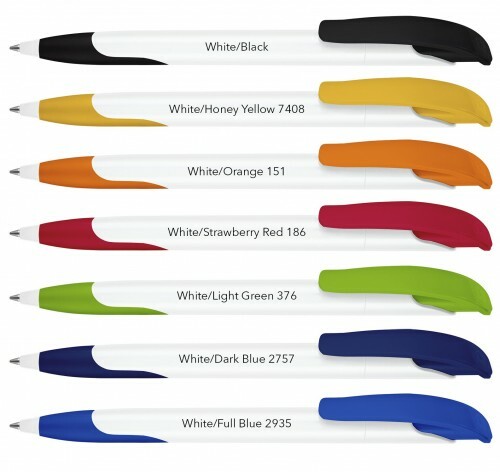 Retractable ballpen with ergonomic soft grip section. Large, curved plastic clip.Innovative upper part. Fitted with a blue plastic X20 refill. Price includes a one colour Group A screen print in one position to the barrel only. Extra print colours / positions available at extra cost. Please contact us for details.